Freedom from Life’s HURTS, HANG-UPS, and HABITS! Celebrate Recovery is a CHRIST-centered 12 step recovery program. Celebrate Recovery is a biblical and balanced program to help us overcome all of the hurts, hang-ups, and habits that weigh us down and interfere in our relationships with each other and in our relationship with the Lord. Unlike other 12-step programs that are based on psychological theory, CR is based on the actual words of Jesus Christ. The purpose of Chapel in Marlboro’s Celebrate Recovery is to fellowship and celebrate God’s healing power in our lives through the 12 Steps and the 8 Recovery Principles. This experience allows us to “be changed.” We open the door by sharing our experiences, strengths and hopes with one another. In addition, we become willing to accept God’s grace in solving our live’s problems. By working and applying these Biblical principles, we begin to grow spiritually. We become free from our addictive, compulsive, and dysfunctional behaviors. This freedom creates peace, serenity, joy, and most importantly, a stronger personal relationship with God and others. As we progress through the program we discover our personal, loving and forgiving Higher Power- Jesus Christ. What are HURTS, HANG-UPS, and HABITS? WHAT ARE LIFE'S STRUGGLES THAT CAN OVERTAKE US AT TIMES IN OUR LIVES? Our Celebrate Recovery at The Chapel in Marlboro meets weekly on Monday evenings in The Source Cafe. Doors open at 6:00pm. Parking is available in the front of the building and the best entrance to use is door number 3. The heart of Celebrate Recovery is worship. During our first hour every Monday evening we meet together in The Source for prayer, singing, and teaching. There is no obligation to share. 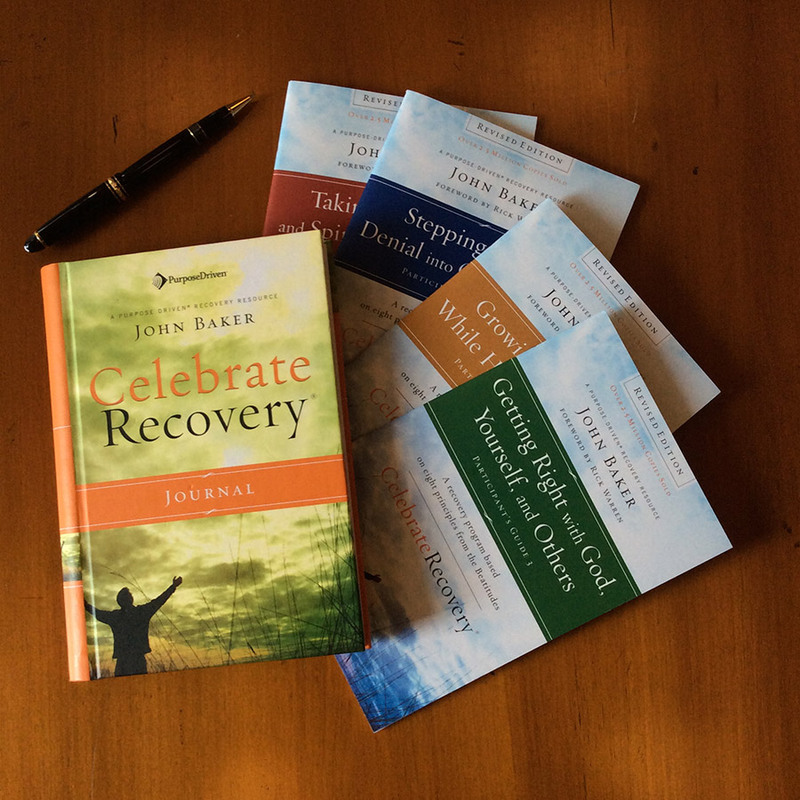 Once every two weeks we listen to a lesson given on one of the 12 steps of recovery outlined in the Celebrate Recovery program. Every other week we will hear personal testimonies from individuals sharing their stories of recovery, their struggles, and their victories through faith in Jesus Christ. Immediately after Large Group Meeting, participants are dismissed to engage in small, gender specific share groups that will meet in separate classrooms around the church. These groups may be issue-specific or open to a variety of issues. Open share groups provide a safe place to share your experiences, struggles and victories with others who are also on their recovery journey. Open Share Groups will strictly adhere to the CR Open Share Group Guidelines. Inside The Source is a coffee bar which will be open at the beginning of each Monday meeting night as well as during the open share group time and after. Coffee and snacks are available for a minimal donation. Feel free to relax, fellowship with others and build the friendships you'll need to support and encourage you on your recovery journey. For participants in CR Monday evening meetings, child care is available for infants through age 6. On the first Monday of each month, the Chapel in Marlboro CR team will be providing sub sandwiches, chips and drinks from 5:30pm till 6:30pm. All are welcome to join us for a time of fellowship before our meeting. A minimal donation is requested for your meal. Should you have questions about the CR program, or would like to explore the many resources and tools available from this internationally supported ministry please visit our resource table which will always be available outside The Source. There is free literature as well as materials you may purchase.